Do you have any other yummy snack ideas? I'd love to hear about them in the comments! Hi Kara, just found your blog! I'm new to primal and am converting my kids... we're just on day two but so far I've found two big winners. I'm not limiting dairy yet, in case you can't tell :) They just love full-fat greek yogurt with fruit mashed in and oddly enough, fried cheese. I just throw a small handful of shredded cheese into a skillet and let it cook into a flat cake, flip it when it's browned on the bottom and cook for a few more minutes. Fried cheese sounds really yummy. Thanks for the additional ideas! Love your idea! A favorite at our house is a big bowl of fresh berries! Gone in just a few minutes! Or we put a variety of fruits sliced up and toss them with orange juice and chopped nuts. Can you post the recipe for the sunny pumpkin cookies? I tried clicking the link but never found it. It re-directed me back to a different post. We love your zucchini bread so much, I'd like to try some other baked goods you've created! Thanks for the list! I've got to expand my daughter's diet, but for now her favorite snacks are frozen strawberries, bacon (cooked until it's crunchy), and raw broccoli. Of course she also loves cookies, so I am going to try grain free cookie recipes for her. Nice to find your blog. My husband and I are both Paleo now, and thinking about moving our 5 and 12 year old boys on to it gradually. Your tips will help! Im new to paleo, and me and my family are about thirteen days in. I realize now that its a transition and its not going to happen overnight. We are slowly converting what we eat. Since I have 3 kids (9, 8, and 5)im always trying to find things they like. The best meal I make is taco salad, minus chips and tortillas. Its the least changed meal and its still pretty basic. we still eat limited dairy - mostly to help the kids do breakfast etc, so one of their favorite snacks is pickle wraps. spread a little cream cheese on ham or corned beef slices and wrap around a dill pickle. delicious! We use baby dills and eat like that, but our friends use large ones, then slice them up and sprinkle with pepper. My kids love "roll your own" lettuce wraps, turkey wraps (that is using the lettuce or turkey as the outer layer) with carrots, tomatoes, nuts, raisins, slices os pear or apple. Another winner here are cucumber slices topped with tuna or chicken pieces! Yum! It's called "Paleo breakfast bread" but it makes for a fantastic snack at any time of the day. My entire family absolutely loves this paleo recipe. Hi - thanks so much for your blog - it's a help! 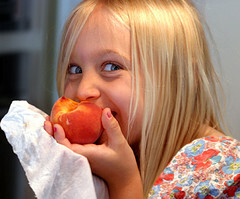 Any ideas for a child who can only eat fruit, veggies and nuts. No grains, no eggs, no dairy. She's only 3 and does well on what she has - but this Grammy is looking for something special for her. We like carrots, broccoli and kale or zucchini chips. We like cauliflower "bread sticks" dipped in tomato sauce and nitrate free deli meat. I am sure this article has touched all the internet visitors, its really really nice article on building up new web site. That link doesn't go to cookies! Help! I want to try those out! Good post but I was wanting to know if you could write a litte more on this subject? Wow! Finally I got a weblog from where I know how to genuinely get valuable data regarding my study and knowledge. be shared around the net. Shame on Google for now not positioning this put up higher! famous blogger if you are not already ;) Cheers! Very energetic blog, I liked that a lot. It's perfect time to make some plans for the future and it is time to be happy. I have read this post and if I could I wish to suggest you few interesting things or suggestions. Maybe you could write next articles referring to this article. I desire to read even more things about it! Hi to every single one, it's truly a fastidious for me to go to see this site, it consists of important Information. regarding this article, in my view its actually awesome in favor of me. Wonderful article! We will be linking to this particularly great article on our website. who are not already. Cheers! This is a topic that is near to my heart... Take care! I've been browsing online more than three hours today, yet I never found any interesting article like yours. It is pretty worth enough for me. In my opinion, if all website owners and bloggers made good content as you did, the internet will be a lot more useful than ever before. your web site, how could i subscribe for a blog website? subscribe for a blog web site? The account aided me a acceptable deal. Thanks for some other informative blog. Where else may I get that type of info written in such a perfect manner? Thanks for your personal marvelous posting! I actually enjoyed reading it, you're a great author.I will ensure that I bookmark your blog and may come back later on. I want to encourage you to continue your great posts, have a nice weekend! for me, keep up posting these posts. decks, pools, retaining walls and other external features. you lots of effort and money in trying out various ideas. With havin so much written content do you ever run into any problems of plagorism or copyright violation? My site has a lot of completely unique content I've either created myself or outsourced but it looks like a lot of it is popping it up all over the internet without my authorization. Do you know any solutions to help stop content from being ripped off? I'd really appreciate it. Do you have any tips for transitioning a child who ONLY eats bread? He likes sliced apples and occasionally a scrambled egg, but everything else is bread. He's almost 5 and will just not eat if he isn't given one of the previously mentioned foods... We already don't do a lot of processed foods, save some crackers and very rarely cereal. Hi there! Would you mind if I share your blog with my twitter group? Hi my family member! I wish to say that this article is awesome, great written and come with almost all vital infos. I'd like to see extra posts like this . whoah this weblog is wonderful i really like reading your posts. web site. He was once totally right. This post truly made my day. You cann't imagine simply how much time I had spent for this information! Thank you! around the web. Shame on Google for no longer positioning this post upper! howeveг ԁefinitelу you're going to a famous blogger when you are not already. Cheers! I believe what you wrote made a great deal of sense. However, think on this, suppose you added a little information? I mean, I don't wish to tell you how to run your website, but suppose you added a post title to possibly grab people's attention? I mean "Snacks for Primal / Paleo Kids" is a little vanilla. You ought to glance at Yahoo's home page and note how they write post headlines to get people to click. You might add a related video or a picture or two to get people excited about everything've got to say. The words in your content seem to be running off the screen in Safari. I'm not sure if this is a format issue or something to do with browser compatibility but I figured I'd post to let you know. The design and style look great though! Hope you get the issue fixed soon. Hello there! I know this is kinda off topic nevertheless I'd figured I'd ask. new users of blogging, that in fact how to do blogging. a little bit, but instead of that, that is great blog. Wow, awesome blog format! How long have you been blogging for? which gives these information in quality? presentation but I find this topic to be really something which I think I would never understand. read this blog's posts every day along with a cup of coffee. how can i subscribe for a blog website? The account helped me a acceptable deal. really realize what you are talking approximately! I do trust all the concepts you have presented for your post. They're very convincing and will certainly work. Still, the posts are very brief for starters. May just you please prolong them a bit from next time? Thanks for the post. Download my free ebook "I've Found the Fountain of Youth- Let Me Show You Too. You can readily adopt a complete training plan that allows you to work on all of your muscle groups. Those who think obesity is due to their genetic makeup relish any news that 'fat genes' have been found as they look to blame something else for their predicament rather than their own habits and behavior. It's in fact very complicated in this full of activity life to listen news on Television, thus I just use world wide web for that reason, and obtain the latest information. Incredible such a good internet site. that I've really enjoyed browsing your blog posts. After all I will be subscribing to your feed and I hope you write again soon! Wow great post you got here Kara. I have two kids who are about your kid's age and as of now I am struggling to let them adapt the paleo diet. You see, we come from a family who typically loves grains and "carbs" but i guess your suggestions on paleo snacks is a great way to jumpstart a paleo diet for the entire family. Thank you for making this post. Great roundup! Really interesting snack list for paleo kids. This is so good. Thank you. Great post Kara, my kids are going crazy for the Nuts and dried fruit. They ask for it every week but i am trying to do different things for them. Great paleo snack for kids... I am also serving paleo food for my family. I got all the recipes from 1000 Paleo Recipes Cookbook, this books is simply awesome! If you want read the review, please click here . Welcome to The Primal Home! I'm a primal homemaker meaning that we don't eat grains, sugar or processed food. I have three children ages 4, 2 and 5 months. This blog is about real food and natural health.